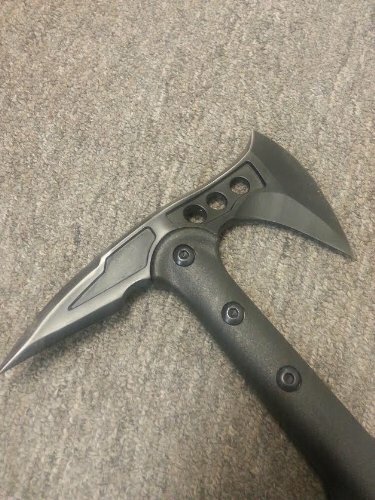 This BLACK BUCKSHOT tomahawk is the ultimate tactical weapon. It is lightweight Axe offers a wide blade for chopping, slashing, and zombie cutting. The edge on the back side of the head is specially sharpened on both edges for a cutting and hooking attack. 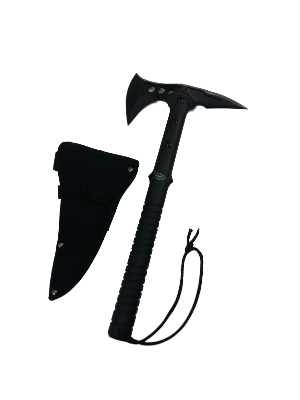 The spike and axe head make for an efficient personal defense and breaching tool against the zombies. Also a great item for camping or to add to your bugout bag for S.H.T.F. situations. The blade is securely attached to the handle with three separate bolts. Includes a durable nylon belt sheath with belt loop and snap closure button. Stainless Steel Blade 15" Overall Length. 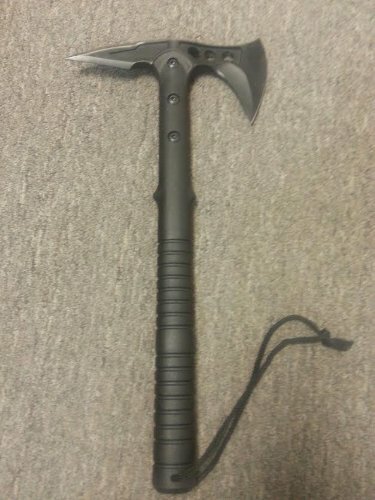 Extremely durable We do not recommend this item as a throwing tomahawk.